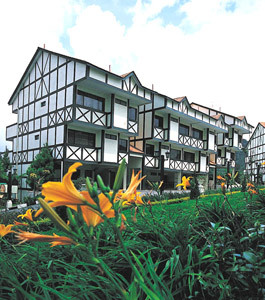 Cooling breeze that is complimented with a strong sensation of tranquillity and calm is where Century Pines Resort Cameron Highlands is. A peaceful adventure that is great to shelter your weary soul! Sitting elegantly in the land of Tanah Rata, the largest town in Cameron Highlands and 2km before Brinchang, our resort is just 4 minutes walk away from Tanah Rata Bus Station. Perched at 1,628 meters above sea level, surrounded by majestic mountains and gentle undulating valleys, Equatorial Cameron Highlands is the only resort situated at the highest accessible point of highlands. The Resort is famously known for its capability in hosting events from company incentive trips to conventions and seminars. 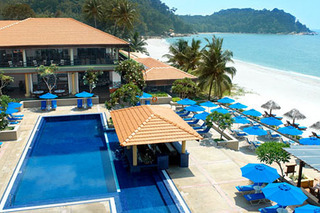 Besides the Resort's extensive recreational facilities and vast grounds, where telematches and scavenger hunts can be carried out; the Resort will also arrange trips to the "Orang Asli" settlement. The sweet smell of flowers in full bloom greets you as you arrive; making you feel right at home. 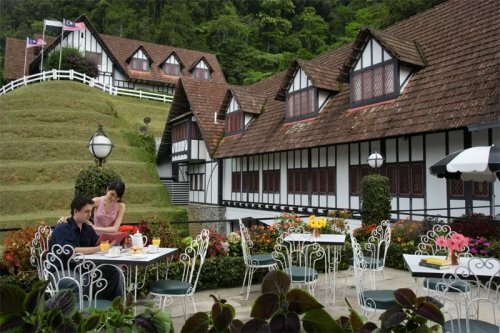 Be prepared to be charmed by this Tudor-style boutique resort, The Lakehouse - Cameron Highlands, an exclusive getaway in the natural beauty of the Cameron Highlands. Set in an area dubbed "The Valley of Eternal Spring", this idyllic country house sits atop a hill overlooking rolling hills and verdant woodlands. 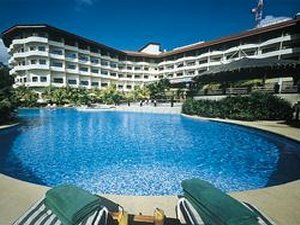 Swiss-Garden Resort & Spa Kuantan Pahang Malaysia is a world-class beach resort located on the pristine shoreline of eastern Peninsular Malaysia. Idyllic and charming, this coconut-swaying paradise fronts the azure waters of the South China Sea. With luxurious accommodations, excellent facilities, attentive service and true Malaysian hospitality, every guest of ours can expect to be treated like royalty. Blending into the serenity of a state rich in cultural heritage and well known as home to the oldest rainforest in the world, Hyatt Regency Kuantan Resort is an idyllic Kuantan resort located on the luxury stretch of Telok Chempedak’s pristine beachfront, on the east coast of the Malaysian Peninsula. This five-star hotel in Kuantan is just a 20-minute drive from Kuantan Airport and a mere five minutes away from cultural attractions, the culinary scene and the central business district of Kuantan city. 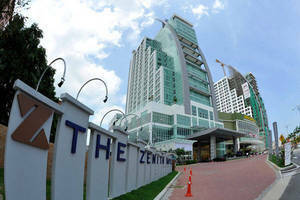 Sultan Ahmad Shah International Convention Centre (SASICC) & The Zenith Hotel is a stylish city hotel, centrally located in the heart of Kuantan town and the ICT Hub, is set to revolutionize the face of business- class hospitality in Malaysia. The hotel tower is part of the largest development on the East Coast of Malaysia, stands at 24-floors featuring a distinct modern facade that majestically alter Kuantan's skyline. 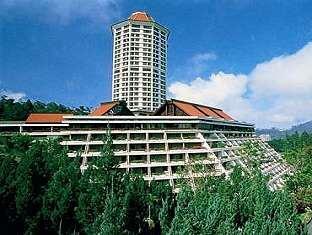 Situated about 3,100 feet above sea-level is the Awana Genting Highlands Golf & Country Resort where a Ronald Fream designed championship golf course rests. With picturesque green mountain views and refreshingly cool climates – a change from the humidity of the lowlands – a relaxed game can be enjoyed. 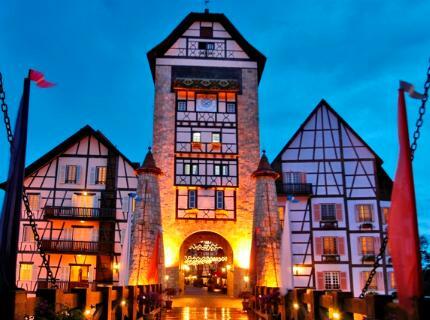 Colmar Tropicale, Berjaya Hills - Relish in century old Alsace charm at this French- themed resort settled at 2,700 feet above sea level amidst 80 acres of rainforest.Let the medieval french village and picturesque surroundings bring you back to an era steeped in culture amd romance. From families and groups, to honeymooners and the pure romantics, Colmar Tropicale beckons you with enchanting grace and hospitality. Taman Negara was established in 1939 and is the largest park in peninsular Malaysia reputed to be The Best Kept Tropical Rainforest, thanks to its protected status. With minimal damage to this special ecosystem, Mutiara Taman Negara is dimly lit to avoid scaring off wildlife and conserves energy. Everything used is biodegradable and all the wooden chalet interiors are made of natural produce.